Brian Keating, The Homestretch’s naturalist, says the South Georgia Island archipelago near Antarctica is once again a haven for birds after a program to kill the rats that were accidentally brought there by whaling expeditions almost 250 years ago. Brian Keating, The Homestretch's naturalist, says the South Georgia Island archipelago near Antarctica is once again a haven for birds after a program to kill the rats that were accidentally brought there by whaling expeditions almost 250 years ago. "As of last year, they declared South Georgia rat-free. It took $14 million and 10 years to get the job done using helicopters and a special rat poison," Keating told The Homestretch Monday by satellite phone. "The result is profound. Right now, there are 53 million birds nesting on the various islands. They are estimating in the fairly near future that will increase by 100 million more birds. It will triple the population and turn the landscape back into a paradise for birds." The bird population had suffered when black and brown rats and mice left ships visiting the remote island off the tip of Antarctica as far back as 1775. The birds in the area weren't used to predators. Their eggs, laid on the ground or in burrows, were snatched up by the rodents. Keating says he witnessed some incredible examples of the rebirth. "We had three incredibly special wildlife locations that we went to and two of those were king penguin rookeries. 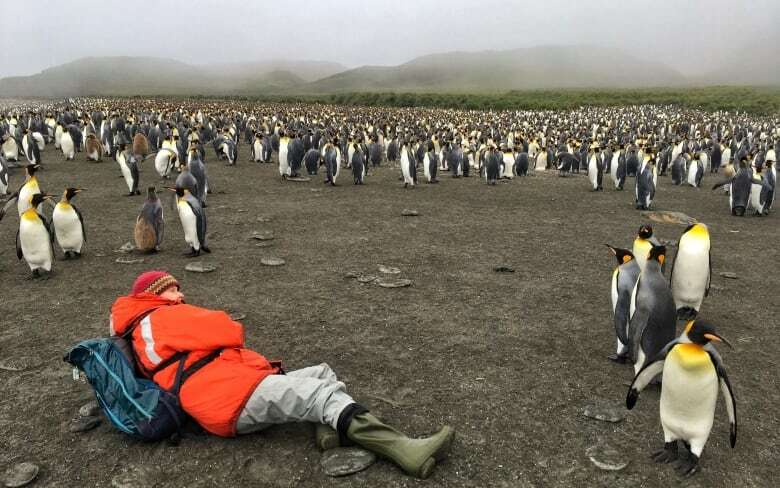 One had something like 125,000 pairs of king penguins. Can you imagine the noise?" Keating said. "We saw birds courting each other, we saw breeding, we saw birds with eggs on their feet — they incubate their eggs on their feet. We saw youngsters being fed. 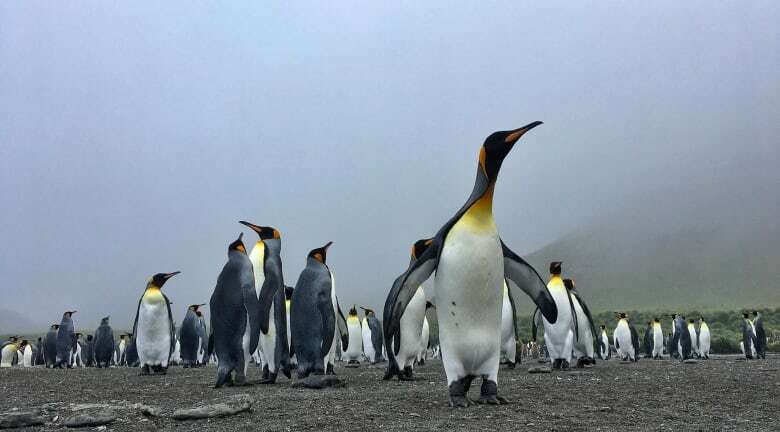 Our final king penguin colony was at a place called Gold Harbour and it was pure gold." And South Georgia is more than just birds. "Through the fog we could hear the calls of elephant seals, fur seals and penguins. It was very ethereal. We landed on the beach with an unbelievable volume of wildlife all around us," he said. "Then this curtain of fog began to lift and what was revealed was a stunning backdrop of a huge-hanging glacier. We had heard ice fall coming from that glacier. It was absolutely stunning." With files from The Homestretch.